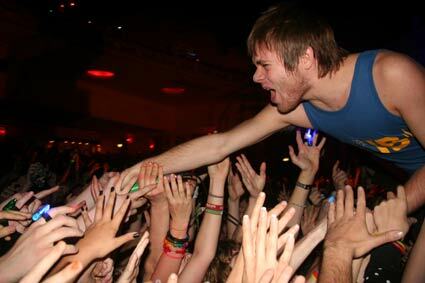 This shot of Rou from Enter Shikari was taken on Tuesday night at the Brixton Academy. It was almost a year to the day that I had shot them at the Astoria when they didn’t even have a record out. The first time I shot them I missed getting the shot I wanted but got it at Brixton. If you want to see more from the gig you can here.